Observation - Snakelocks Anemones - UK and Ireland. Description: Anemones in rock pool, green tentacles with purple tips. 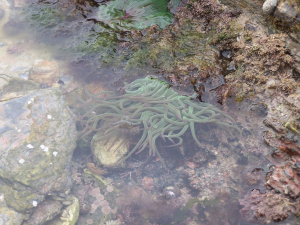 Anemones in rock pool, green tentacles with purple tips.